Does Europe need a common shared HL7 template repository? Thanks to the efforts of Giorgio Gangioli, Dr. Kai Heitmann, Stefan Sabutsch, and Christof Gessner, ART-DECOR now hosts the templates associated with the epSOS specifications as updated by the EXPAND project. Moreover, the team identified specific improvements that would improve the specifications. Should HL7 formally offer a common European template repository to accelerate adoption of HL7 standards and streamline localizations across Europe? Can HL7 through its European Office, with affiliates support, sustain this effort? Should relevant efforts be expanded to HL7 Fast Healthcare Interoperability Resources (FHIR®) profiles and extensions for Europe? Does the HL7 EU realm fit with a common terminology strategy for Europe? A European terminology center offering a European extension for SNOMED-CT as one of the core reference terminologies has been proposed in the ASSESS CT EU-funded project. The HL7 Terminology Authority addresses issues relevant to the use of external terminologies and value sets in HL7 standards. The European Medicines Agency will be offering a Medicinal product database based on the IDMP standard from 2018 and the specifics are explored in the recommendations of the openMedicine project. HL7 Project Scope Statements are developed by HL7 work groups to address relevant standardization issues. What is the role of HL7 in supporting localization or translation at a regional or national level? Can HL7 facilitate localization work and national roll out of IDMP? Are there best practices to be shared? Overall: What synergies should HL7 pursue in Europe? Is it time for closer cooperation of HL7 with CEN/TC251? Recently CEN/CT251 led by long term HL7 Netherlands Chair Dr. Robert Stegwee, was awarded a contract by the European Commission to develop IPS, a European standard for patient summaries, aligned with global standards developments. Giorgio Cangioli (HL7 Foundation), Karima Beuquard (IHE Europe), and Vincent van Pelt (NICTIZ), participate in the project team led by Stephen Kay. I was invited along with Charles Parisot (IHE Europe) to serve on the IPS Steering Committee chaired by Robert Stegwee. Meanwhile, the HL7 IPS/InterPAS project offers fertile ground and a unique opportunity for collaboration and alignment of efforts at the Universal and EU Realm. In retrospect—Can this collaboration build a closer relationship between CEN/TC251 and HL7 in Europe? 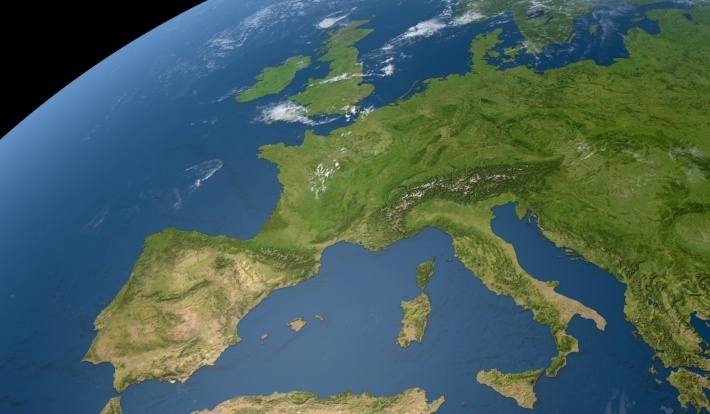 As HL7 International celebrates its 30th birthday, HL7 shines in brightly in Europe. With the support of HL7 International, the European Office of HL7 will continue its growth, investing on synergies, innovation and long term partnerships. HL7 will continue to create the best and most widely used standards in healthcare, standards that empower global health data interoperability so that everyone can securely access and use the right health data when and where they need it!